Nice job. Can you post more photos or email them to joe at josephjenkins.com? That looks like a fun time. Jolly good! 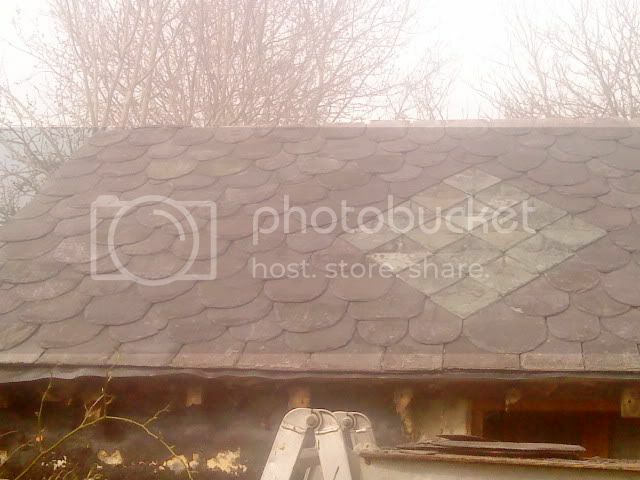 Hi I am a roofer from the uk and I was looking on the net for some ideas to make a small slate roof at home look unique and I stumbled across this site. Just thought I would share the results and say cheers.